Hello lovelies, back with another Ravensburger puzzle to show you all. My youngest son loves Thomas and friends and both boys just love trains in general so they was thrilled to see this come through the post. 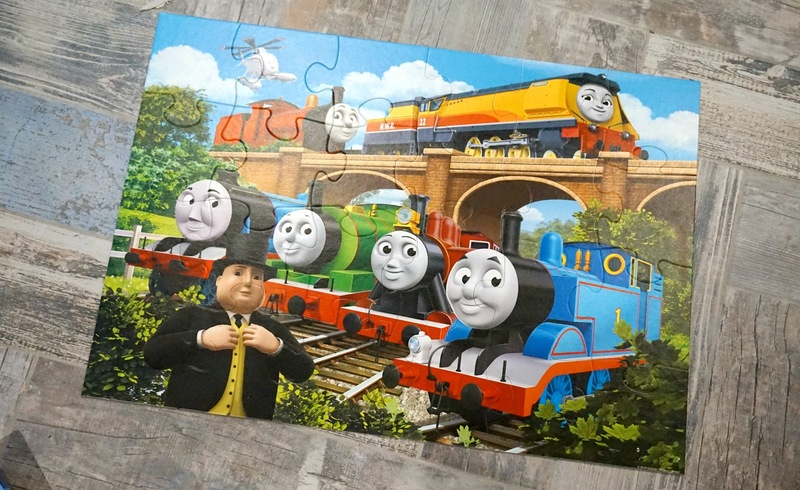 You can never have too many jigsaw puzzles right? They're a bit like books if you've really enjoyed them you will keep re-doing it. 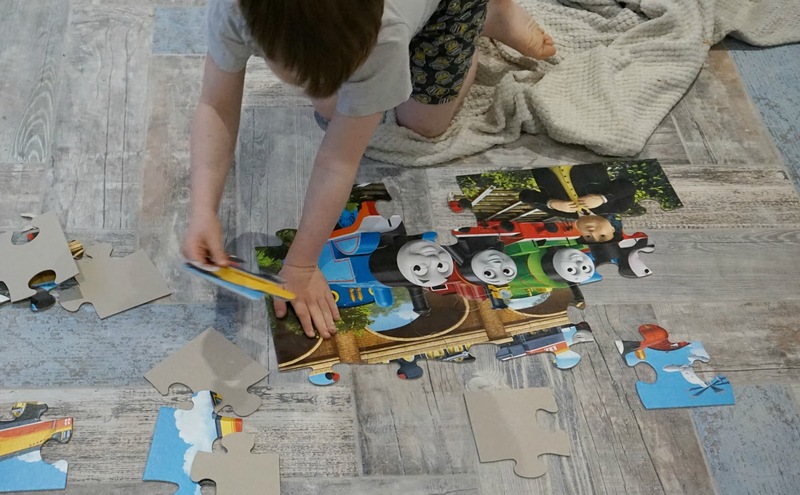 This is a giant jigsaw with 24 pieces, Lawson is still getting to grips with jigsaw pieces, working how to put them here there and everywhere so his elder brother Oscar helped him fix most of the pieces together then Lawson admired the lovely picture. 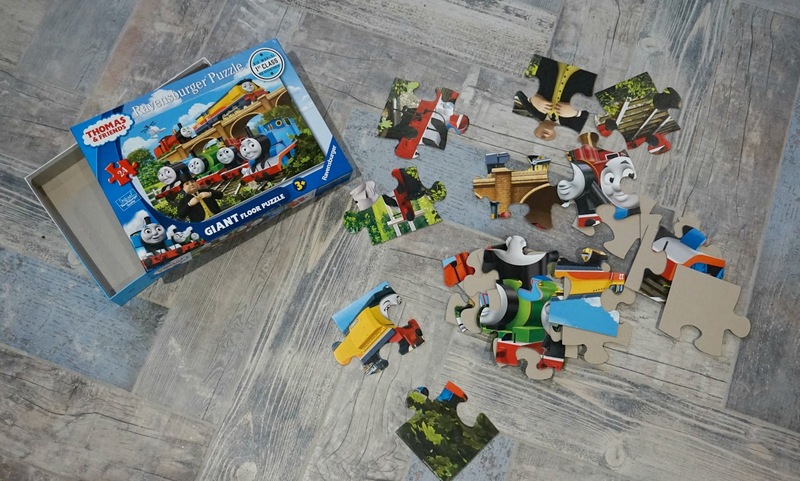 It is great for 3 years plus to get them into jigsaws with it being giant, it took my 6 year old about 5 minutes but he kept doing it over and over again because he really enjoyed it. Lawson loves breaking the puzzle up so Oscar can re do it. It is very colourful and sturdy, great quality made of cardboard and they finish it linen to stop the glare! It measures to around 70cm x 50cm once completed, a firm favourite added to their jigsaw collection. 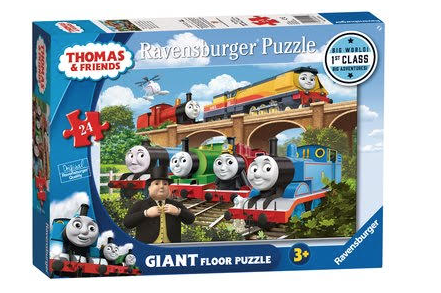 Do your children or yourself have a favourite jigsaw or have you yet tried the Ravensburger puzzles?